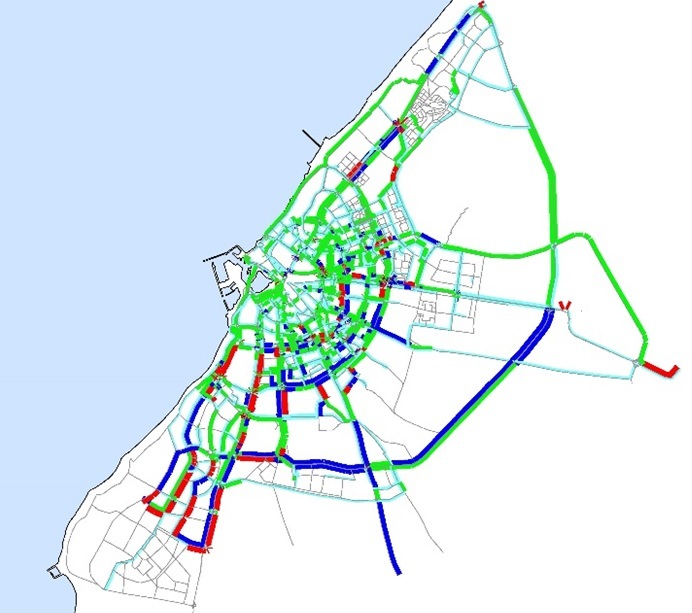 Systematica was appointed for the Urban Mobility Plan of the city of Benghazi. The work was articulated into three phases. The purpose of the first phase is to gather a comprehensive set of background information regarding the existing structure of the urban functions and the whole transport framework. The second phase mainly includes the development of a wide area highway assignment model aimed at evaluating the current and expected private traffic conditions. The third phase is concerned with the assessment of the suitability and effectiveness of the proposed solutions. • the implementation of three Light Metros, besides the four BRT lines, to guarantee the mobility demand of the population, forecast to double within the horizon of the plan. 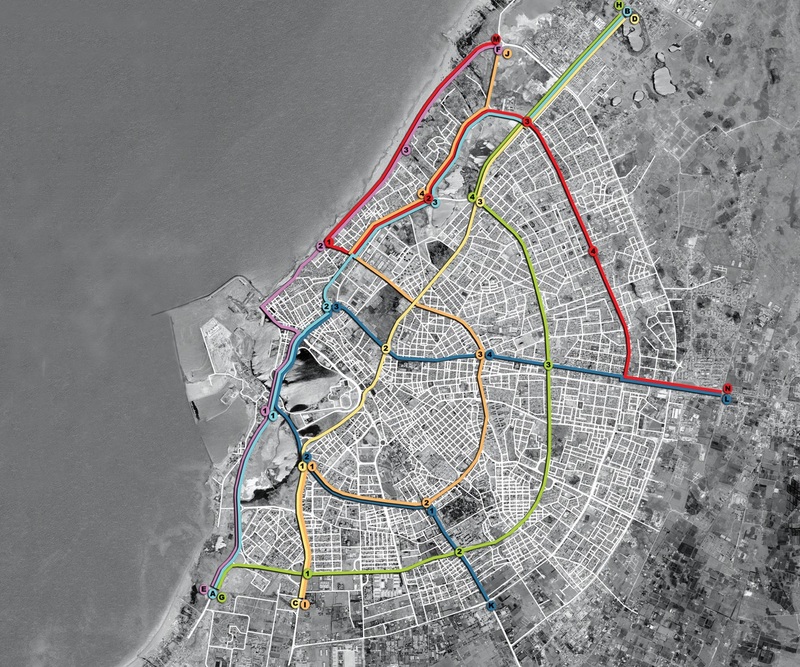 Objectives, strategies and interventions concurred to the overall Vision of the Future City of Benghazi, within the entire Metropolitan Area limited by the potential future highway-bypass. 3 lines of BRT and 4 lines of BRT are planned to meet Benghazi mobility demand. Objectives, strategies and interventions are identified to compose the overall vision for the future Benghazi Metropolitan Area.